Incumbents in these positions are physicians assigned to a County Physician Registry and licensed to render professional medical services in a correctional setting on an hourly as needed basis. Due to the Manpower shortage recruitment, incumbents and appointees in the medical specialty of Emergency Medicine shall be compensated at step 20 placement. 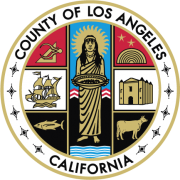 The Manpower Shortage Range is applied to the new base salary established in the Los Angeles County Code Personnel, Salaries & Salary Schedules, and Chapter 6.10.050 for Emergency Medicine through June 30, 2018. Legible copy of certificate of completion of residency training program approved by the American Specialty Board. Legible copy of California State Physician and Surgeon's Certificate authorized by the Board of Medical Examiners of the State of California. Beforesubmissionof your information, it is necessary to ensure that all information is complete and includes all required documents as directed on the job posting in order for your information to be reviewed and processed in a timely manner. If you have any questions, you may contact Sylvia Jaimez, Exam Analyst at (323) 869-7041. Performs medical work in ambulatory and in-patient environments, including primary, specialty and surgical fields. Prescribes drugs and/or therapy, monitors patients' progress, records observations and changes, and adjusts treatments as required. Consults with staff physicians and paramedical personnel regarding care of patients and/or medical and diagnostic work performed. Provides consultation to other medical services, including specialists in other fields. Maintains needed varied hours on a rotated schedule with other physicians to ensure that there is always a physician available, as needed. Confers with medical and professional personnel in such related fields as toxicology in order to discover the main and contributing causes of death. Conducts more difficult post mortem examinations. Testifies in court as an expert witness, as needed. Completion of a residency program approved by an American Specialty Board in one or more designated specialties* or equivalent training**, Curriculum Vitae (CV) and Statement of Career Goals***. California State Physician and Surgeon's Certificate authorized by the Board of Medical Examiners of the State of California. Board Certification issued by the American Board of Medical Specialties - OR - American Board of Medical Specialties Board Eligible. Moderate: Includes standing or waling most of the time, with bending, stooping, squatting, twisting, and reaching; includes working on irregular surfaces, occasionally lifting objects weighting over 25 pounds, and frequent lifting of 10-25 pounds. *Applicants who will successfully complete their medical residency program approved by an American Specialty Board within six (6) months of filing may compete in this examination. However, their names will be withheld from the certification list. Applicants MUST submit a copy of their recommendation letter from the Residency Program Director confirming good standing and anticipated successful completion date, at the time of filing or fax it to (323) 869-0942 within fifteen (15) calendar days of filing online. The recommendation letter must be on a legible letterhead from the accredited institution which shows the area of specialization. In the event candidates do not successfully complete their residency program, their names will be removed from the certification list. A copy of the completion of residency program certificate must be submitted before final appointment. Applicants who do not possess a Board Certification issued by the American Board of Medical Specialties at the time of filing may compete in this examination. However, their names will be withheld from the certification list pending receipt of the required American Board Certification. Applicants who do not possess a California State Physician and Surgeon's Certificate at the time of filing may compete in this examination. However, their names will be withheld from the certification list pending receipt of the required California State Physician and Surgeon's Certificate authorized by the Board of Medical Examiners of the State of California. Applicants who have completed a residency training program approved by the American Specialty Board, Board Certification, and California State Physician and Surgeon's Certificate MUSTattach a legible copy of each certificateat the time of filing or fax it to (323) 869-0942 within fifteen (15) calendar days of filing online. ***Equivalent training is defined as that training which the appropriate American Certifying Board formally recognizes in writing as being equivalent. Equivalent training for appointments to the specialty of Emergency Medicine will be that training and/or experience approved by the Director of Health Services. ****The Statement of Career Goal is a narrative that serves as an effective way of assessing current career achievements and the means one should take for accomplishing such career objectives. The career statement is a short and clear essay that clearly presents the career vision of a professional for making an effective career plan. Applicants who have the required California State Physician and Surgeon's Certificate authorized by the Board of Medical Examiners of the State of California must include a legible copy of their certificate to the applicationat the time of filing or fax it to (323) 869-0942 within fifteen (15) calendar days from filing online. The required license and/or certificate MUST be current and unrestricted ; conditional, provisional, probationary or restricted licenses and/or certificates will NOT be accepted. Applicants who have completed a residency training program approved by the American Specialty Board must include a legible copy of their certificate of completion to the applicationat the time of filing or fax it to (323) 869-0942 within fifteen (15) calendar days from filing online. This examination will consist of a review and appraisal of qualifications based upon information from CV and Statements of Career Goals and Achievements, weight 100%. This examination will assess Procedural Competencies, Cognitive and Diagnostic Competencies, Administrative Competencies, and Dispositional Competencies. The names of the candidates receiving a passing grade on the examination will be placed on the eligible register without indication of relative standing in the exam. Successful candidates will remain on the register for a period of twelve (12) months following the date of eligibility. The resulting eligible register will be used to fill vacancies throughout the Integrated Correctional Health Services (ICHS), as they occur. APPLICATIONS MUST BE FILED ONLINE ONLY.APPLICATIONSSUBMITTED BY U.S. MAIL, FAX OR IN PERSON WILL NOT BE ACCEPTED. Apply online by clicking on the "Apply" button for this posting. You can also track the status of your application using the website. All information is subject to verification. We may reject your application at any time during the examination and hiring process, including after appointment has been made.Falsification of any information may result in disqualification or rescission of appointment. This examination will remain open until the needs of the service are met. Application filing may be suspended at any time with or without advance notice. Fill out your application completely. The acceptance of your application depends on whether you have clearly shown that you meet the requirements. Provide any relevant education, training, and experience in the spaces provided so we can evaluate your qualifications for the job. For each job held, give the name and address of your employer, your job title, beginning and ending dates, number of hours worked per week, description of work performed and salary earned.If your application is incomplete, it will be rejected. NOTE:If you are unable to attach required documents, you must fax them to (323)869-0942 ore-mail the documents to the exam analyst within 15 calendar days of filing online. Please include the exam number and the exam title. All applicants must file their applications online using their own user ID and password. Using a family member's or friend's user ID and password may erase a candidate's original application record.